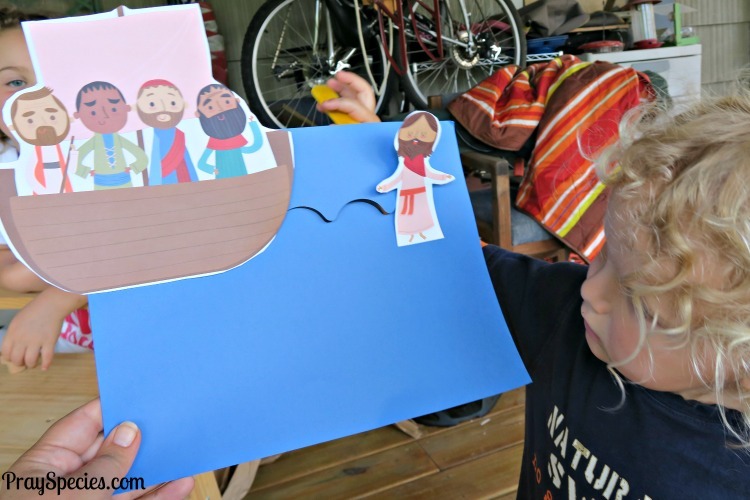 Our family has been learning more about the bible story where Jesus Walks on Water. We have also been focusing on recognizing that God cares about our worries. We started by memorizing one of my favorite bible verses. We are fortunate to be able to use and share our experience with our preschool, Christian program: Experience God! Each month we are given four craft activities and a whole host of suggested family activities that help us more fully understand and appreciate God’s message. The optional Child Craft and Family Activity pack is a true blessing for us, supplying us with all the materials we need to create the following crafts! And don’t worry, Experience God also comes with an interactive version of the bible story and offers suggestions on how to make the most out of each craft with questions to ask, steps to take, and prayers to say together. How was Jesus able to walk on water? Jesus is bigger and stronger than the water. He is God. Cut out the Jesus and boat puppets. Attach a stick to the back of each one. 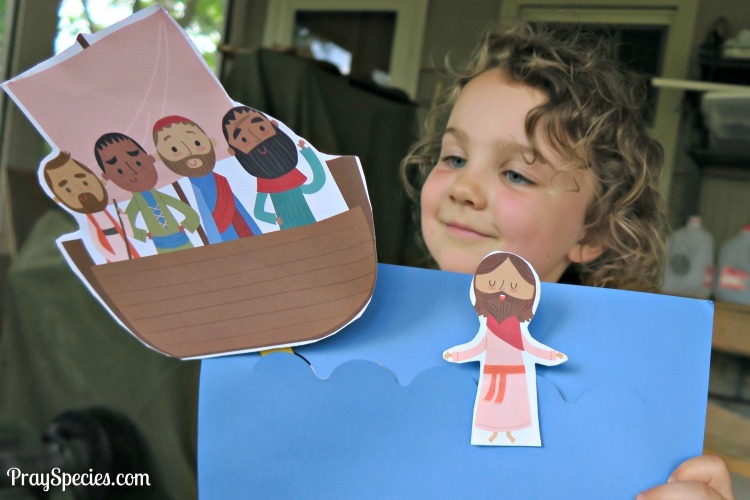 Take turns using the puppets to tell a story about Jesus walking on the water. Jesus is bigger than all of our worries. He is all-powerful and can do the impossible. Invite children to sit in a circle and hold a block. Take turns sharing a worry and then placing the block in the middle of the circle. Explain that Jesus prayed all day. he prayed in the morning, afternoon, and at night. Trace both hands of each child. 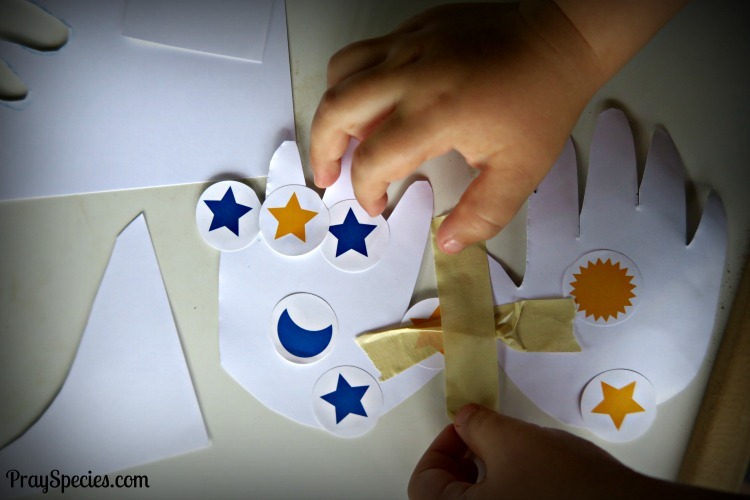 Encourage the children to cut out their tracings and color them with the markers or crayons. 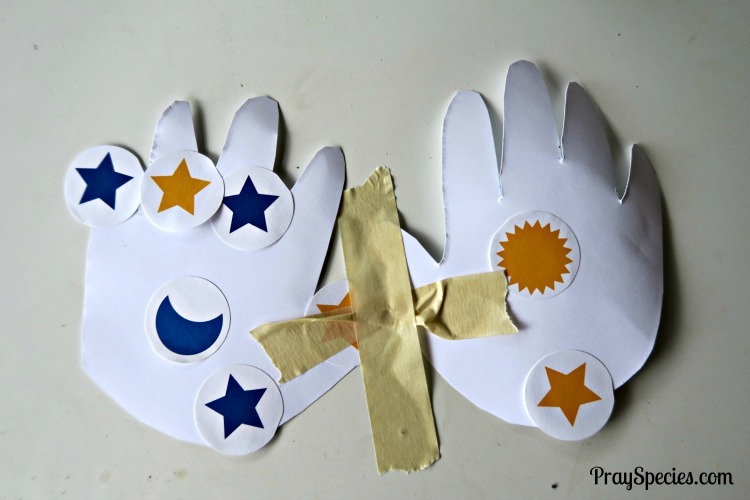 Tape them together along the pinky fingers and use a vertical and horizontal piece of tape to look like a cross. 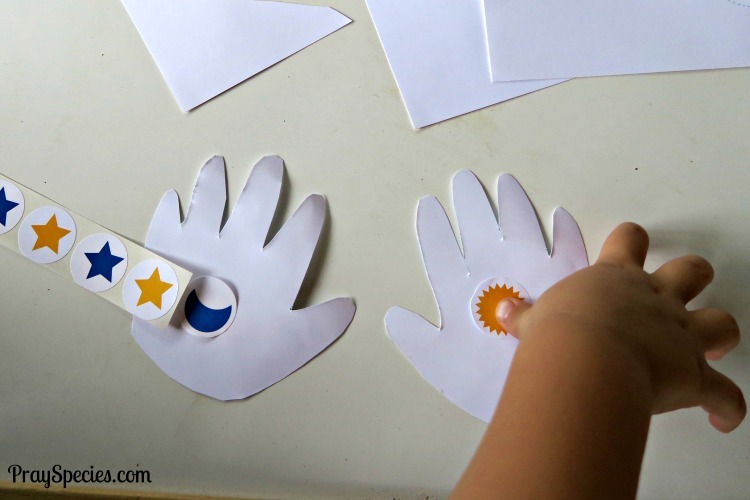 Invite children to use the sun, moon, and star stickers to decorate their hands. We can use our hands, hearts and minds to pray all day and night. How can you keep what you love close to your heart? Show children the blue beads and count them together. Ask them to put them in water. What happens? Do they sink or float? Use spoons to fish the beads from the water. 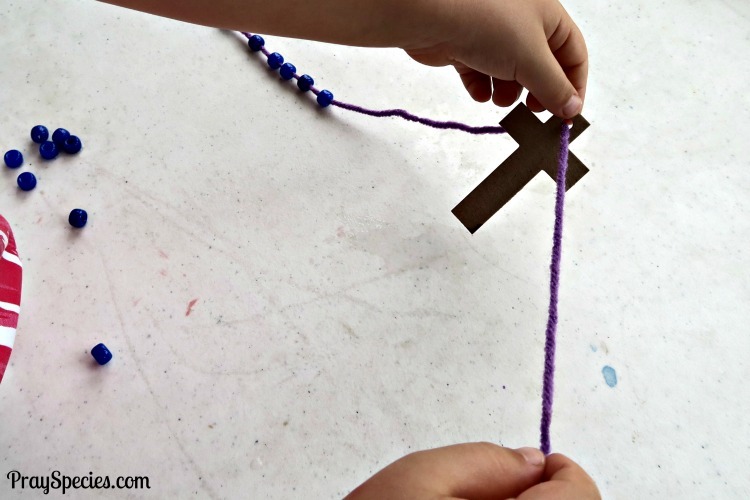 Invite the children to use the beads, cross and yarn to make necklaces. Wear the necklace close to your heart or hang it in your room to remind you to live like Jesus, even when it seems as impossible as walking on water. Jesus is our rock. He never changes and loves us in good and bad times. 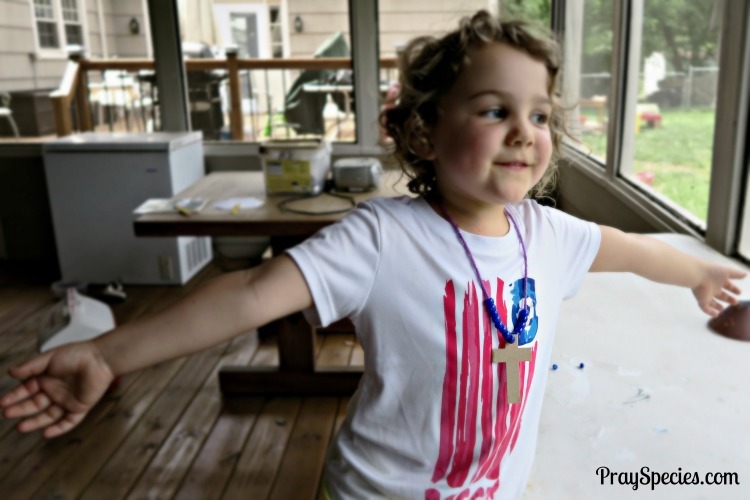 Invite children to share what they learned about faith. If God had a boat, what do you think it would look like? Discuss different ideas for how God’s boat might look. Would it be fancy or simple? Would it have holes or be perfect? Give each child a foam tray. Push the craft stick through the center of the tray. Use tape to attach the cloth to the stick for a sail. 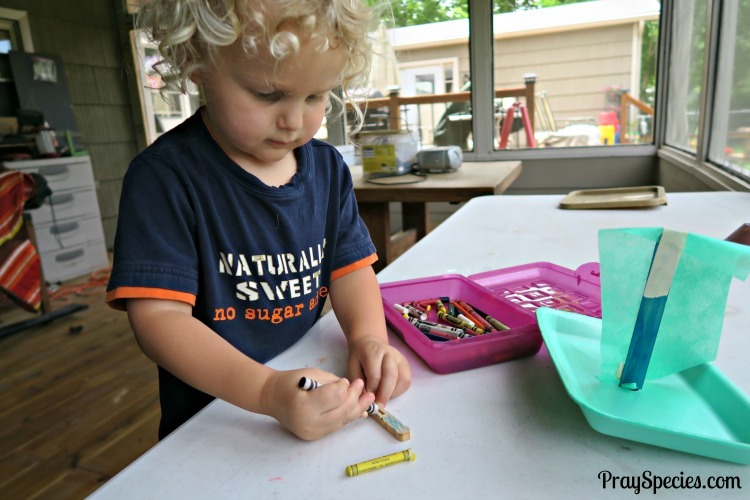 Give each child a clothespin to decorate like a child. If desired write the child’s name on the clothespin. 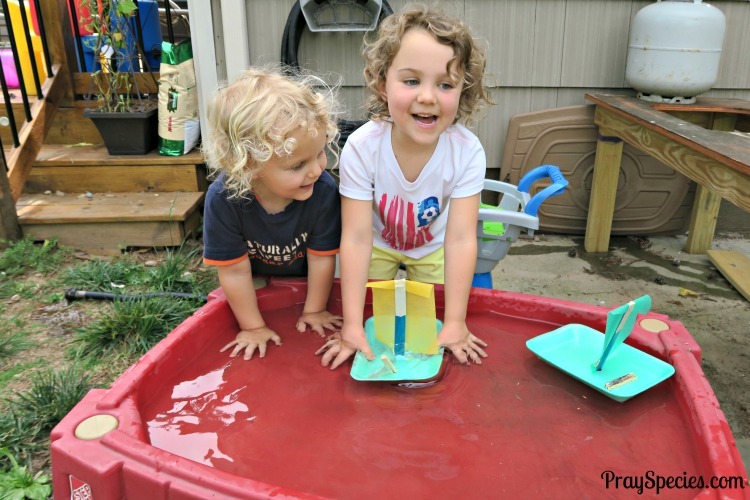 Encourage children to play with the clothespin people and boats. God’s ways are perfect. Have faith to ride his boat. 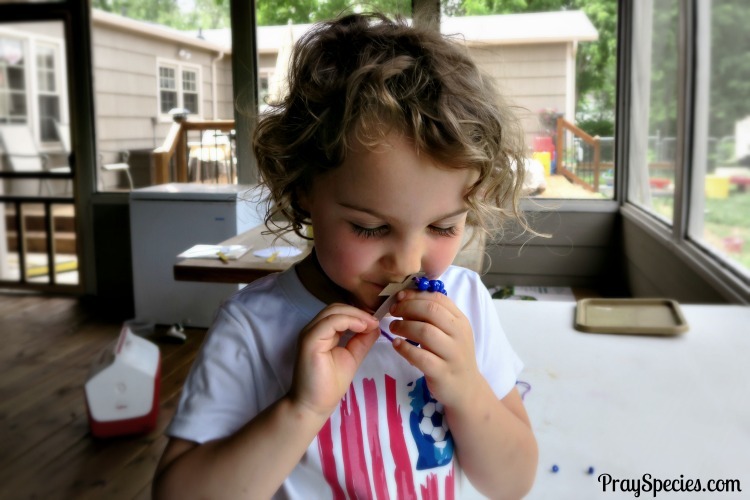 The supplies and ideas for these awesome activities came from Experience God, a Christian program focused on fostering prechooler’s relationship with God.